As a business owner, you know how important it is to understand the costs of running your business. That includes the cost of using an alternative funding solution such as Invoice Factoring. Here, you have a detailed guide to help you understand the costs involved with Invoice Factoring. By the end, you’ll know what costs to expect and what hidden fees to look out for, when choosing an Invoice Factoring provider. You’ll find everything from types of Invoice Factoring fees and the variables that affect them, to the total cost of your Invoice Factoring solution and what pitfalls to look out for. What Determines the Cost of Invoice Factoring? Invoice Factoring is a flexible funding solution and a form of Asset Based Finance that allows you to sell your outstanding invoices to an Invoice Factoring provider, who gives you an immediate cash advance of 80% to 95% invoice value and takes over your customer collections. In the UK, there are over 50 Invoice Factoring providers that are either independent companies, subsidiaries of financial institutions, or crowdsourcing platforms. Because of their different backgrounds, they also range in offerings, costs, and contracts. Invoice Factoring providers don’t usually offer a flat rate for their services. Instead, costs vary depending on factors such as your invoice volume, industry, and business stability. In order for you to choose the right Invoice Factoring solution and provider, you need to understand and anticipate what costs are involved. The two basic costs of Invoice Factoring are the Discount Charge and Service Charge. Cost variables include invoice volume and size, industry, creditworthiness of customers, and business stability. Competition between Invoice Factoring providers means that costs are generally transparent and straightforward. Lower rates don’t always result in a lower total cost. Invoice Factoring costs are entirely determined by your provider. They vary due to factors that influence your provider’s risk of taking you on as a client, and the gross profit margin of running your Invoice Factoring facility. Therefore, if your business is determined to be low-risk and you have a high volume of invoices to be factored, you will generally receive lower rates. Invoice Factoring providers also offer additional services such as Bad Debt Protection for an additional cost, as they aren’t included in your factoring solution. On a related note, Invoice Discounting solutions tend to be less expensive because you use a lower level of service from your provider, since you collect and manage your debts internally. The volume and size of your invoices probably has the largest impact on your Invoice Factoring costs. If your business has a high volume of large invoices within your sales ledger, you’ll likely receive a lower rate. A high volume of invoices translates into a consistent stream of payments to your provider, and their Invoice Factoring facility becomes more cost-effective. Think of it like this: it costs your Invoice Factoring provider a certain amount to set up your facility, so if the facility is used more frequently, then the cost of setting it up is spread out over time. Invoice Factoring providers also prefer large invoices, as they save money on processing fees. For example, consider two Companies A and B. Company A has a single invoice to factor worth £10,000, while Company B has five invoices of £2,000 each. Although both companies have invoices that are worth the same in value, Company A’s invoice only incurs one processing fee, while Company B’s invoices incur up to five processing fees. However, if you’d rather factor individual invoices instead of your entire ledger, think about utilizing Single Invoice Finance. The costs are much more straightforward as you use the service whenever you need it, with most providers only requiring a one-off charge and a small administrative cost. Invoice Factoring providers perform thorough credit checks to determine the creditworthiness of your customers. This is used more to determine the eligibility of your business, and has less influence on the cost of your Invoice Factoring. Your customers should have a solid track record of settling their invoices on time and in full. However, if your business poses a high risk such as being a startup or phoenix business, then you will likely face higher costs since your provider is taking on more risk by accepting you as a client. Certain industries such as recruitment and transportation are considered to be lower risk as their payment terms are simple and straightforward. They have ongoing working capital needs and reliable customers, and as a result, these businesses in low-risk industries often face lower costs. Invoice Factoring providers regard high-risk industries to be labor-intensive such as construction and healthcare, where there are more unstable variables like changing project completion dates and uncertain invoice payment dates. The more risk your business poses, the more likely you’ll face higher costs. Invoice Factoring providers use your trading history, audited financial statements, and other related documents to determine the stability of your business. If your business has a below-average annual turnover and low profitability, you pose a higher risk and will receive higher costs. Invoices with longer credit terms face higher costs due to two reasons: discount charges, and the monetary value of the time your provider has to wait before receiving funds. Firstly, discount charges (this will be covered later) are usually calculated on a 30-day basis, which means that if your credit terms are 90-days, you’ll have to pay the discount charge three times. Additionally, it’s not hard to see that Invoice Factoring providers prefer to be repaid sooner rather than later! Longer credit terms mean that providers have to wait longer for their funds to be repaid, which consequently costs you more. Unfortunately, many businesses make the mistake of accepting the cost of Invoice Factoring at face value. It is an understandable misconception that lower rates should result in an overall lower cost. 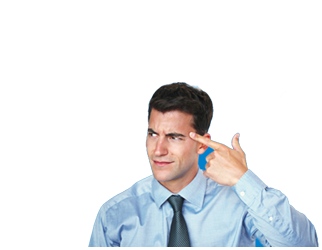 However, in order to get to the true cost of Invoice Factoring, you need to figure out the cost per pound (cost per £). The cost per £ is based on your discount charge, which is basically an interest rate on the 80-95% advance you receive from your Invoice Factoring provider. A lower discount charge or a lower advance percentage does not always result in a cheaper cost per £. Let’s demonstrate this using two examples. 85% advance at a rate of 4.25% per 30 days has a cost per £ of 5p (0.0425/0.85). Both cases have the exact same cost per £, even though the second case has a higher discount rate. Therefore, a lower rate does not always equal a decreased overall cost, so be sure to consider this when choosing an Invoice Factoring solution. Although both cases face the same discount rate (3%), there is a 6.5% difference between their cost per £. It may not seem like a whole lot when you see it in pennies, but it adds up to significant costs when you consider the value of your invoice. Don’t assume a lower advance rate is the cheaper option, because as shown, it can actually be the expensive choice! I know it seems like a lot of information, but don’t worry, the hard part is over! You now have a solid understanding of what affects the cost of Invoice Factoring. The next section is relatively straightforward, as it simply covers the different costs you’ll face. At the simplest level, Invoice Factoring is comprised of two charges: a discount charge and service charge. The discount charge works in the same way as interest payments on a loan. 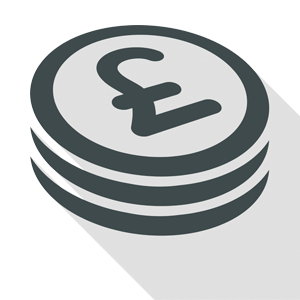 The charge is applied to the cash advance provided by your Invoice Factoring provider, and is based on the UK base interest rate plus commission charge of your provider. In general, the discount charge ranges from 1% to 3% over the base rate, and is calculated for each day following the cash advance. Most providers require the discount charge on a monthly basis, while others prefer weekly payments. The service charge is the cost of running your Invoice Factoring facility, and it consists of various services provided by your Invoice Factor, such as credit management, collections, and administration. Service charges are typically between 0.75% and 2.5% of your annual turnover. This rate depends on factors that influence the cost of running your Invoice Factoring facility, such as invoice volume, size, and customer base. Keep on reading and you’ll find a simple list of potential hidden costs involved in Invoice Factoring. saving you the time and trouble to figure out what costs you could possibly face. But before you continue, know that not all providers will charge all these fees, and what they do charge will be clearly stated in their contracts. Transaction fees include charges to process payments made between you, your customers, and your invoice Factoring provider. They cover BACS payments, credit or debit cards, wire transfers, as well as a same-day transfer charge. This is the cost of setting up your Invoice Factoring facility and advancing you the main cash installment. As part of a monthly or long-term contract, Invoice Factoring providers often charge a minimum usage fee. What this means is you need to submit and factor a certain volume of invoices per month, or pay the minimum usage fee. Overdue fees are simply charges on expired invoices that have yet to be settled once their payment due date has passed. Invoice Factoring providers may charge extension fees if you need to increase your funding lines or extend your contract. Administrative costs cover a wider range of services such as an audit charge for your business documents, and an application fee to process your financial statements, invoices, as well as printing costs. Some providers aren’t yet completely paperless and will charge you for the cost of printing out all your documents and paperwork. The annual fee applies to contracts starting from 12-months, and covers the cost of keeping your facility open for another year. If you choose to end your contract early or without giving enough notice, your Invoice Factoring provider may charge you an early termination fee. Think of it this way: by leaving your contract earlier, your provider loses a client along with future interest payments and charges. Notice periods usually begin at 28-days, and can go up to 3-months. This is a challenge for many businesses who often cannot plan that far ahead in time to decide whether they want to terminate their contract. Bad Debt Protection is not a hidden cost, but is an additional service that many businesses choose to purchase in order to protect their finances. It is a form of non-recourse factoring where your provider takes on the credit risk on your customers failing to pay their invoices. You can protect up to 95% of your debtor balance, depending on the creditworthiness of your customers and offerings of your provider. Bad Debt Protection is typically not charged as a flat rate, and depends on the perceived credit risk of your customers. Generally, rates range from 0.5% to 2% of your annual turnover. So let’s recap on what you now know. Invoice Factoring is an increasingly popular funding solution for businesses to immediately access working capital and facilitate business activities such as covering expenses, encouraging growth, and paying employees. The costs involved in Invoice Factoring will range depending on your business, contract, and provider. Invoice Factoring involves at least two basic costs: a discount charge and service charge, as well as other potential costs that vary between providers. Providers should clearly state and explain their fees to you before you begin working with them, so that you don’t have any surprises down the road. That’s it! You’ve made it through and now know everything about the costs of Invoice Factoring. Good luck, and if this article has helped you, pass it forward by sharing it on social media!